Durable & Heavy Duty. 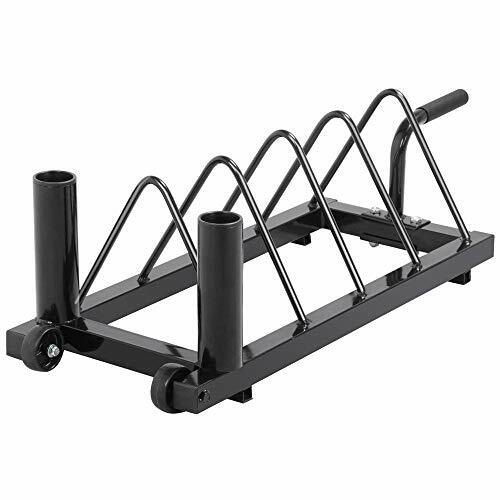 Four main springs and eight small springs are all made of carbon steel, can bear the tension of 66 lbs. Adjustable & Detachable. 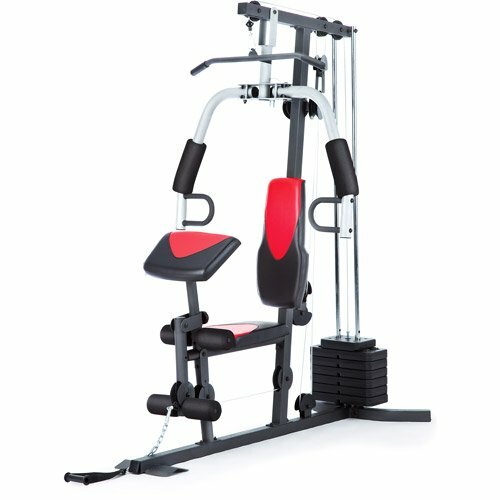 Each spring is connected with metal hook which can be removed to reduce the exercise tension. Multi-functional. 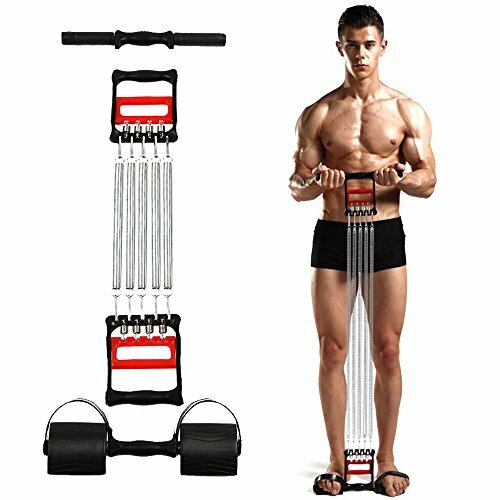 The 3 in 1 set contains the function of chest expander, hand gripper, and arm strengthener. 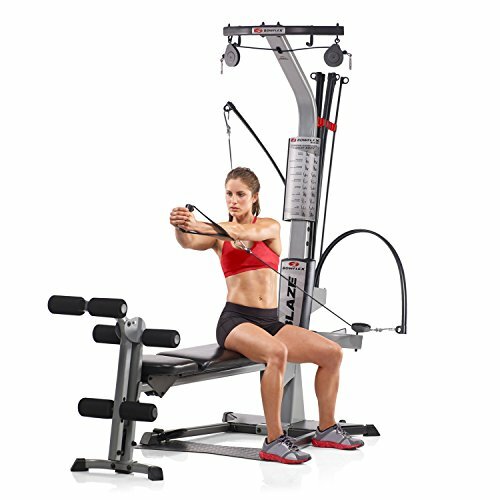 The all in one equipment can be nice trainer for hand, upper arms, shoulder, back, chest and legs exercise. Durable Material. Strength part springs are made of carbon steel wire which contains high peformance of tension the maximum durable strength is 66 lb. 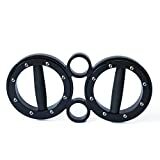 Handle part and pedals also apots durable material allows your daily carefree exercise. Adjutable Strength. Each spring is connected with separate hook which can be easily removed, for different exercise you can choose to use 2-4 springs. Each spring shares the same tension. Detatchable footboard. 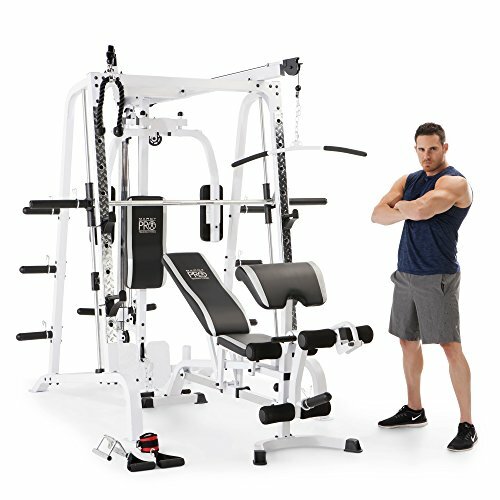 Pedals and handle are extra attached to the chest expander, with the spiral tools it’s easily to be stalled for the use of arm training or shoulders training. Multifunctional. 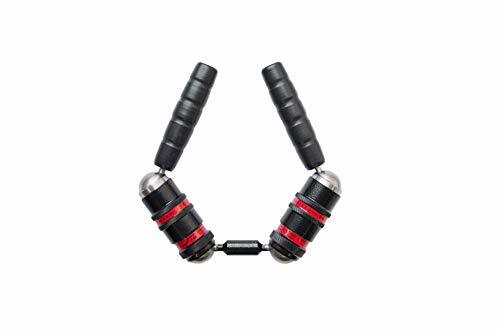 It’s a useful chest expander, and strong wrist developer, with attached handle and pedals can be nice strengthener for upper arm and back muscle trainning, with proper using also can be nice trainer for legs. Portable. 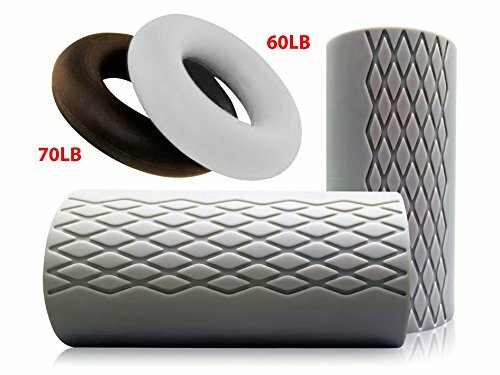 The full set is packed into a gift box with size 13*5.5*2.95 inch and weight 2.75lb is convenient to carry it out for gym fitness or outdoor leisure exercise.